Mr. Vohra identifies the many mistakes the Clinton campaign made that resulted in Mr. Trump winning the election in spite of the numerous problems his campaign suffered. Mr. Vohra explores why the public chose to overlook Mr. Trump’s offenses, but not Mrs. Clinton’s, and explains why she failed to succeed. He also looks beyond Mrs. Clinton’s campaign at other factors that contributed to her losing, and offers possible ways she could have salvaged the election. In Why Hillary Lost, Mr. Vohra clarifies how Mr. Trump did not win as much as Mrs. Clinton lost. 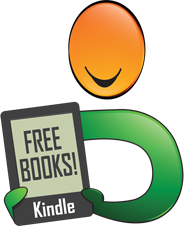 I very much enjoyed reading Why Hillary Lost; in fact I enjoyed it so much I read it in one day. Mr. Vohra confirmed my assumptions about the 2016 Presidential election results and presented contributing factors I had not considered. It is well written, succinct, and to the point. 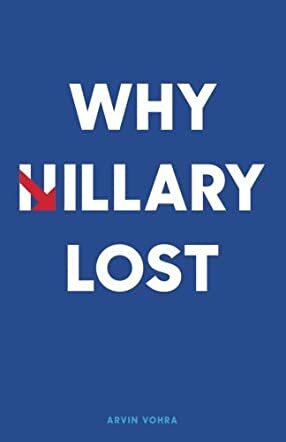 I think Mr. Vohra has written an excellent answer to the question of “Why Hillary Lost.” I expect those who followed the campaign will enjoy this book as much as I did. I am giving Why Hillary Lost the highest rating.